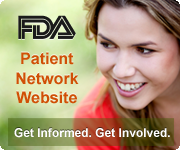 FiDA Failed Implant Device Alliance: GAO to investigate FDA regulation of power morcellators. GAO to investigate FDA regulation of power morcellators. The U.S. Government Accountability Office confirmed Friday that it plans to investigate a surgical device that was marketed for two decades before the Food and Drug Administration warned it can spread uterine cancer. Twelve lawmakers wrote the GAO a letter last month asking for a probe into laparoscopic power morcellators, which are bladed, drill-shaped tools gynecologists commonly used to cut up growths called fibroids in minimally invasive surgery, most often hysterectomies. The FDA last year estimated that women who undergo these procedures face 1-in-350 odds that they harbor an undetected cancer that a morcellator could spread and worsen. “We’ve agreed to do the work,” Katherine Siggerud, managing director for congressional relations at the GAO, confirmed Friday. In a letter earlier this week to U.S. Rep. Mike Fitzpatrick (R., Pa.), a lawmaker at the forefront of pushing for a GAO review, Ms. Siggerud said the agency accepted his request “as work that is within the scope” of GAO authority. She said the GAO would likely have the staff available to begin its work in about five months. She said in an interview it was too soon to tell how long a probe might take. An FDA spokeswoman said the agency will cooperate with any GAO review, and does not comment on pending or ongoing investigations. The probe will likely add scrutiny to how the FDA handled issues with power morcellators going back to 1991—when the first one was cleared for sale in the U.S.—to last year, when the agency cited evidence that the risk of hidden uterine cancers called sarcomas was much higher than many gynecologists believed. Device applications and other records show the FDA knew early on that morcellators could spread dangerous cells, but the agency said the magnitude of that risk wasn’t recognized until the issue gained prominence starting in late 2013. Rep. Louise Slaughter (D., N.Y.) and 10 other members of Congress also signed the Aug. 7 letter to the GAO. They asked for an investigation into issues such as the FDA’s reliance on a regulatory process used to clear all morcellators for sale in the U.S.; the process has drawn criticism for being too lenient. The lawmakers also asked to know whether groups like hospitals and device manufacturers complied with FDA rules to report problems with the devices, how doctors were trained to use them and what steps the FDA is taking to determine whether morcellators are safe to remain on the market. The FDA has defended the regulatory process used to approve morcellators and most devices as a good way to balance innovation and safety, and said that the agency is strengthening its surveillance of devices on the market. Johnson and Johnson, formerly the largest morcellator maker before it voluntarily left the market last year, has said that it wasn’t aware of any reportable events regarding morcellators and the possibility of worsened cancer until late 2013. The FDA in November followed up on its earlier morcellator advisory by calling for a black-box warning, its strongest caution, regarding the cancer risks. The devices still remain on sale from other companies beyond J&J, although many hospitals and health insurers have curbed their use. My comment: I blog on FiDA Advocate blogspot. 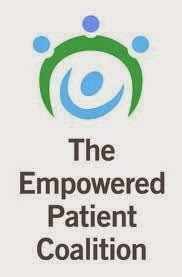 I was trained 9/2010 at the request of FDA/CDRH to be a Patient Representative on medical device Advisory Panels. CDRH conducts few Advisory Panels because most (98%) new devices are cleared through the 510(k) process that simply requires the identification of a 'predicate' device and perhaps a payment of $4000. If an Advisory Panel is called, the FDA/OSHI - Office of Special Health Issues selects the Patient Representative and this person is a NON-voting member of the panel. Harmed patients and their advocates are rarely a part of the equation and industry has infiltrated the regulatory sphere. The system is rigged and patient harm-for-profit is the result.